Baby corn fries or fritters are golden and crispy appetizer, which is good option for upcoming winter season with tea or coffee. 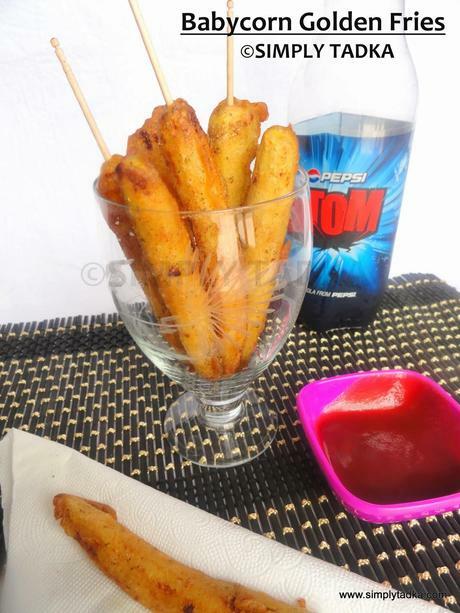 These baby corn fritters are deep fried snack which dipped in batter of flour and spices. Rice flour gives crispiness and corn flour gives thickness to fries. You can replace the maida with gram flour. Baby corn fritters are very tasty and crunchy snack recipe which perfect for rainy or winter days. These fritters look fabulous and very handy to pick and serve as starter in party. You can serve and enjoy this crispy fried baby corns with rice tomato sauce or green chutney. 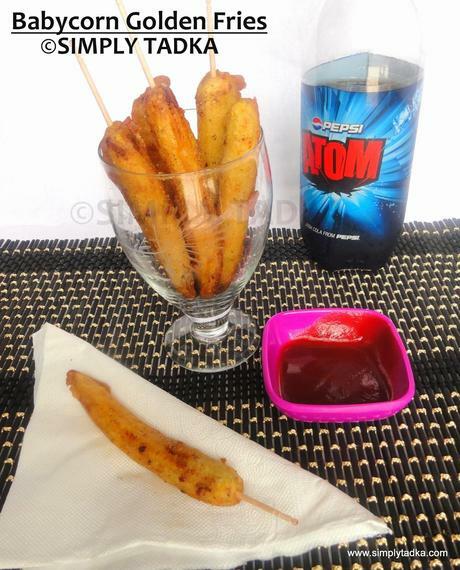 Baby corn is eaten both raw and cooked, so there is no need to boil or cook the baby corn before using in this recipe. If you have little hard baby corns then boil it in pressure cooker until to one or two whistles. You can prepare stir baby corn, baby corn chili and more recipes to utilize leftover baby corn fries. Baby corn is high in vitamin B and is good source of nutrients like potassium, vitamin c and fiber. It’s mostly used in Asian cuisine. Instructions: Combine the all ingredients of batter and little water in thick consistency. Heat the sufficient oil in deep pan on high flame. When oil is hot enough, dip the baby corns in batter and fry them until to golden and crisp on low flame. Drain them in plate and sprinkle chaat masala on the top and serve with sauce. Note: You can use Bengal gram flour too instead of APF. If your baby corns are hard, boil it for 5-7 minutes or give one whistle in pressure cooker. 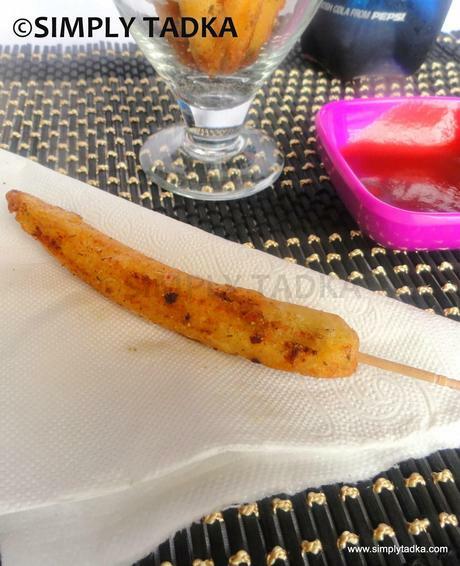 Tags: How to cook babycorns fritters, baby corn recipes, spicy baby corns, baby corns pakoras, easy and spicy baby corns fingers, snack recipes, kids favorite recipes, crispy and golden babycorn fries, babycorns fries, party recipes, mansoon special recipes, rainy recipes, finger fries recipes.